I mentioned in my post yesterday I have the plague (aka the flu) and am feeling like I was run over by some sort of large vehicle. Twice. I had hoped to be back to my healthy-ish self today but alas, the plague still has a tight fisted hold on me. I managed to drag my carcass off the couch for awhile this afternoon though to help Olivia clean / organize her room. She had a layer of STUFF all over her floor and couldn't even find a place to play and her stuff was starting to spread throughout the house. That had to change. 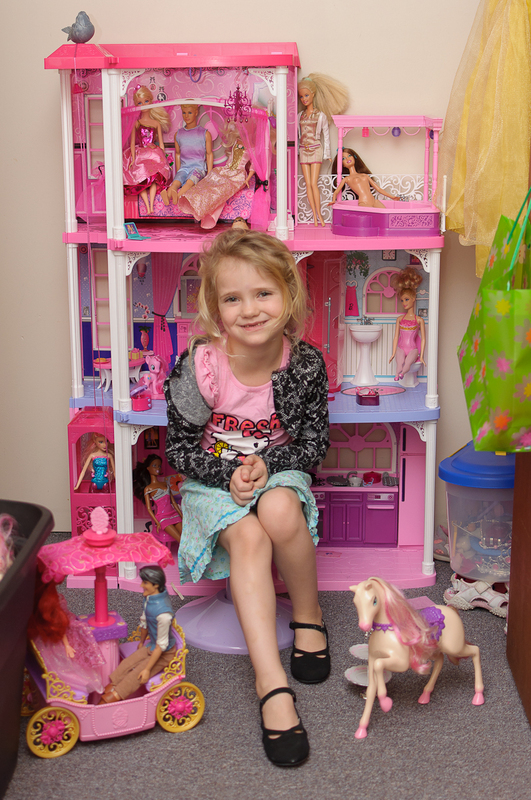 I cleaned out her closet so her brand new Barbie townhouse could live in there and she is really happy with it. But wow... even after just cleaning Olivia's small room I felt like I had climbed some sort of mountain and fallen down most of it. Not ideal. Apparently I won't be cleaning the rest of the house today. Which is unfortunate considering how it looks. I do have the plague after all. Sorry about the plague. That is one sweet barbie townhouse. Holy mackerel! I would have loved that as a kid.